As a born and bred product of British multiculturalism, it’s hard for me to comprehend the ongoing demonisation of immigrants. Growing up in a mixed-race family was getting a new pencil case before the start of term; plastering Spice Girls posters on my wall; eating fish and chips on a Friday in the school canteen; Sundays spent wrapped in the love of my nana’s chicken curries, gulab jaman and jalebis. My childhood feels typically British because multiculturalism is my norm – something that, in my lifetime, has been the bedrock of British culture and, historically, a source of great pride. Yet, in this post-Brexit climate, it’s hard not to notice the mood shifting. At a time when global anti-immigrant sentiment is reaching fever pitch, a study claiming that four in 10 people believe multiculturalism has undermined British culture feels like sticking the knife in. It’s just another reminder to the UK’s migrant or minority ethnic communities that they will never be British enough. It’s baffling to me that a sizeable minority of people could feel that British culture is being stifled by multiculturalism. Are we talking about the same tea-drinking culture that includes chicken tikka masala as a national dish and holds St George as its patron saint? Researchers found negative opinions around Islam were often mentioned during panel discussions, with participants regularly citing the Rotherham and Rochdale sexual abuse scandals involving Asian men and white British girls. Those in rural areas also tended to have less positive views about immigration, according to the study. It’s hard not to feel this is just the same lazy racism of the sort my family weathered in the 50s, 60s, 70s – and every decade since. It seems odd that Islam and Asian immigration are now automatically associated with the Rotherham and Rochdale scandals, yet I didn’t see white men being vilified following decades of child abuse scandals in the Catholic Church. To those who don’t support multiculturalism, I’d love to ask: do you know any immigrant families? Have you taken the time to understand who they are or their stories? Or do you just hate people who don’t look like you? People are scared of what they don’t know but surely it’s time we stopped indulging ignorance. It’s hurtful and alienating to the millions of us whose legitimacy is placed second to the views of the xenophobic. This constant othering of migrants, first-generation or otherwise, is tiring. I know immigration – and it’s not something to fear. My Muslim grandfather grew up in India, the son of an army officer supporting the British during World War II. He idolised British customs and since his arrival to the UK in the 50s has dedicated his life to working as a doctor for the NHS. He wears tweed and eats marmalade on toast – but he also attends his local mosque and eats lime pickle. Surely he’s as British as they come? And isn’t that exciting? We have to stop conflating immigration with low-skilled workers and segregation of communities – it is bigoted and unrepresentative. No two immigrant families are the same, every family has their story. It’s frustrating to see the same tired tropes of British immigrants wheeled out with clockwork regularity – and the framing of this study feels particularly unhelpful. It feels sad remembering how many times I tried to assimilate as a child and downplay my ethnicity – “no, but my mum was born here”, “we’re not really Indian Indian”, “we don’t eat Indian food that much” – trying to preempt the ignorant questioning that would follow as soon as I mentioned my heritage. But as an adult, I feel fiercely unapologetic, and increasingly unwilling to be an educator to those who need convincing why immigration is good. The researchers did find a majority (59%) of those surveyed felt diversity brought by immigration had enriched British culture and 63% felt migrant workers supported the economy and brought valuable skills to the UK, so clearly all is not lost. 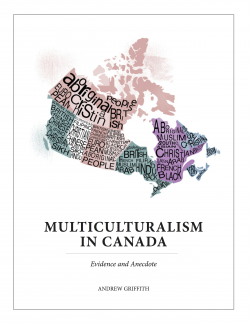 These are the stats we need to be focusing on – the resounding consensus that multiculturalism is important and continues to make a valuable contribution to our society. Instead of continuing this tired debate, we should be turning our attention to what it means to be British today, in all its richness and difference, and celebrating what makes our culture so unique. That’s where representation in media and popular culture becomes so important, along with social mobility in education and employment. It’s time the multiculturalism debate is taken off the table, because it’s already here. Multiculturalism has happened – deal with it.